Gaius Galerius Valerius Maximianus Augustus was Roman Emperor from 305 to 311. He served with distinction as a soldier under Emperors Aurelian and Probus, and in 293 at the establishment of the Tetrarchy, was designated Caesar along with Constantius Chlorus, receiving in marriage Diocletian's daughter Galeria Valeria. 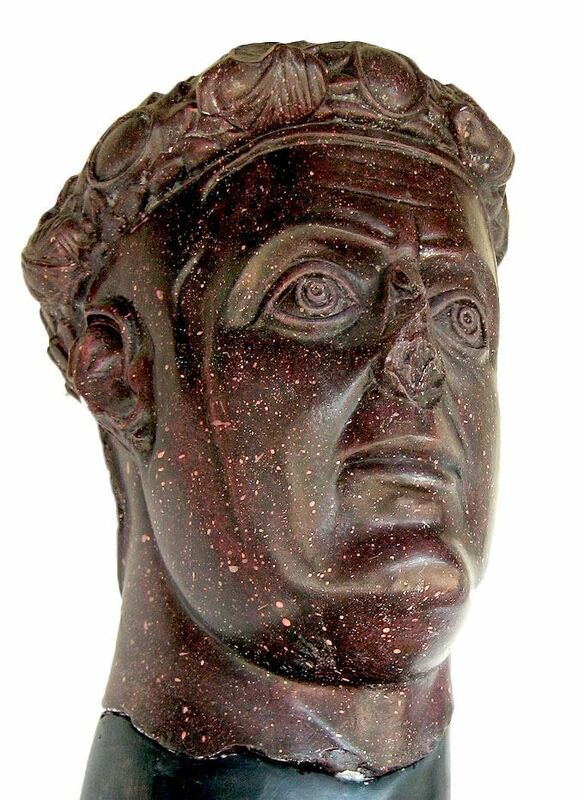 Galerius was promoted to Augustus in 305, and laboured for the rest of his rule to become the sole emperor. In vain, of course. He died in late April or early May 311 from a horribly gruesome disease described by Eusebius and Lactantius, possibly some form of bowel cancer, gangrene or Fournier gangrene. Reverse: Genius standing l., holding patera and cornucopia; TSA.